At Gapeseed Consulting, we love startups. Having been associated with number of startups we understand the unique requirements and hurdles any startup would come across. The series of blog posts is designed to help startups with various set of services that should be inculcated in any business from the beginning. This is blog 1 of the startup series. The idea is to help you with CFO services, basics of CFO services so that you can either plan or outsource accordingly. We intend to help the startups thereby becoming their Outsourcing and hence functional support partners to allow them to concentrate on their revenues. The focus of Gapeseed Consulting remains same, we want to ‘multiply possibilities’ for our associates to help them grow their business. Let, us understand the significance of CFO Services for Startups – the edge and benefit of the same. How Outsourced CFO Services for Startups and Finance Team would help? Outsourcing CFO services for Startups will you give an edge over the others. Strong financial situation of any startup will give an early leg up as compared to the competitions and will also offer a sound standing among the existing players. It will ensure legal & accounting compliances and will also minimize mistakes. The CFO level wisdom will help in identifying the good and bad about valuation increase and will also help succeed in raising capital. An outsourced team is also beneficial as it provides equally competitive results but at lower or variable costs. Outsourced CFO and Finance team will also help you concentrate on business and growth. With Gapeseed Consulting, your CFO team is always scalable and ready to grow with you. You need not plan any sick days or vacation days as outsourced team work on timelines and only they shall not be mismatched. In low budgets, you get better controls and better trained staff. Also they help you with taxes and offer more accurate financial statements. By outsourcing the financial & CFO services to Gapeseed Consulting, you can actually invest your early stage capital & investments in business generating activities and we have the following services to help you understand the cost-benefit of outsourced accounting & financial services. These will also allow you to invest your time and resources wisely. What CFO & Financial Services do we offer at Gapeseed? 1. We understand that Startups cannot always afford to pay fixed compensations. That is why we have retainer CFO Services. Under this, we help startups in creating contracts, also help them build a financial model and raise equity and/or venture debt. 2. Retainer Services are available for a time duration of 6 months or above. 1. In case you need CFO or Accounting services from an expert on some particular subject or to assess & help you with the in-house accounting services, we can help.This would be a one time exercise with detailed report and follow-up action. 1. Maintaining your books at each & every stage. We can either use existing systems or provide the one we recommend, we invoice your clients, follow up, collect cash, pay bills and handle everything from bank reconciliation to month-end reporting. 2. You see the report, review, approve or discuss. 1. We manage the tax filings – quarterly, annually. 2. We work on reduce your tax liabilities and we ensure that you get the advantages out of best managed taxation services. Remember, our startup packages start from INR.25,000/- onwards. Get in touch with us now at info@gapeseedconsulting.com or call up: +91-9599444630/9 to know more. in addition to doing just about everything else in the business, too. A lot of Entrepreneurs who handled bookkeeping and accounting usually discover they weren’t doing nearly as well on their own as they thought they were. 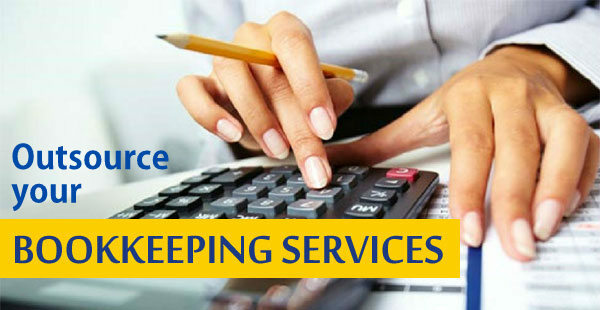 Gapeseed offers recognized bookkeeping outsourcing services solutions that support end-to-end functions of bookkeeping services for Small Business & start-ups. Some start-up incubators purport to go beyond office space and provide more diverse support services, such as bookkeeping and accounting, legal and management advice, and intellectual property assistance and is an essential part of “start-up India’ program recently launched by Indian Govt at Vigyan Bhawan in New Delhi. Ask any successful business owner or entrepreneur and they will tell you. A healthy cash flow statement and a driven sales department are the life of any organisation. Your financial books can change from a positive to a negative balance, and your debt commitments, which were reasonable when you started, can rapidly become your worst nightmare. Pro Tip: Debt should be used for generating more income (buying products on credit), and never to fund your lavish lifestyle. 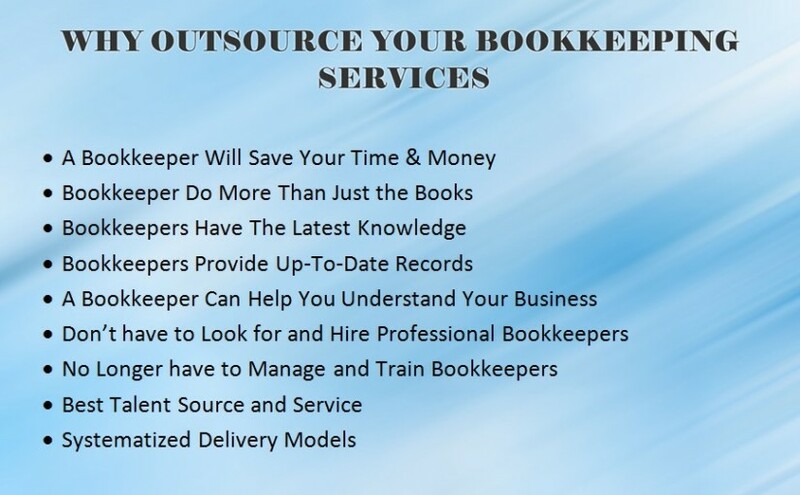 Outsource an authorized bookkeeper to handle your books. Though in today’s world, it’s become easier for a layperson to keep track of a business’ finance with the advent of simple online bookkeeping services software’s, such as QuickBooks, Quicken, and Microsoft Office Small Business Accounting. 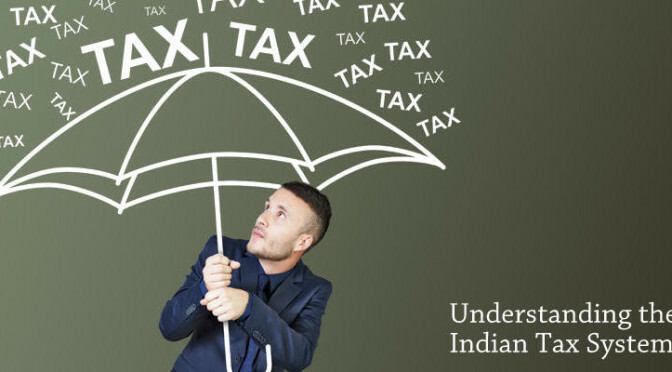 But there comes a time in a growing enterprise when it makes sense to hand over responsibilities for taxes, accounting, and the rest of the financial functions to specialists. Maybe you want to better the financial function of your business. Or perhaps your accounting software isn’t providing the type of data you need to grow your business. Having trouble switching from cash to accrual accounting? Are your financial statements inaccurate or incomplete? These are all good reasons to look for a qualified bookkeeping services firm. 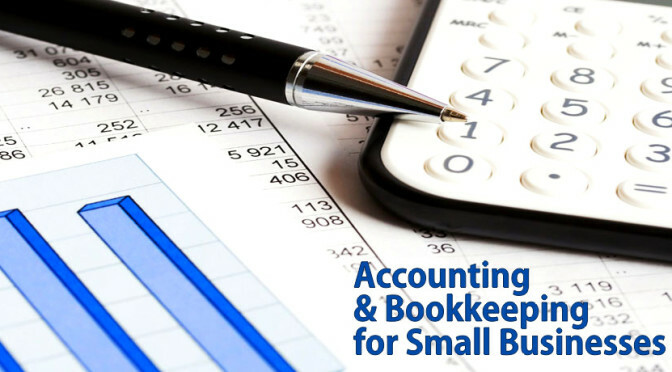 Before hiring a firm to fix your bookkeeping and accounting services do analyse firms. Industry expertise – Previous experience in your industry makes things much easier for both the parties involved. Size – Size and exact need of your requirement for a proper brief and guidance. Complexity– Nature of service required from your firm. Further to this if you seek any further clarity , feel free to write to us on, info@gapeseedconsulting.com or you can also call us at +91-9599444639. Gapeseed Consulting is a professional services firm dedicated to the success of businesses – big & small, which is why we offer our Outsourced Bookkeeping Services. This service is designed so that we become your internal accounting department and thereby helping in Outsourced Bookkeeping Services. You turn over all your time-consuming bookkeeping tasks to us—including paying bills, recording deposits, reconciling bank accounts, and more. With our advanced technology platform, we can manage all your bookkeeping activity online. You simply send your scanned source documents to us via a secure Internet connection, email, or fax. Once received, our bookkeeping experts process your documents and then deliver all the required financial documents to you online. You can enjoy a completely web-based process! 1. Frees you to focus on your business, not time-intensive administrative tasks. 2. Eliminates vendor late fees—we ensure that all your bills are paid on time. 3. Saves you money by eliminating the need for onsite staff. 4. Provides assurance that all your bookkeeping needs are met—our experts take care of everything for you. 5.Offers ultimate convenience because all documents are exchanged online. 6. Ensures security of data—processing documents within our online platform is more secure than sending documents via email. Everything is handled online, so you don’t incur the extra costs associated with delivering paper documents or scheduling pick up of monthly reports and financial statements. 1. When invoices and other bookkeeping documents come in to your office, either scan and upload the electronic copies to your portal, email, or fax them to us. 2. Your documents are received in our office electronically. 3. Our experts process all documents. 4. Our experts deliver management reports, financial statements, tax planning and cash flow reports, and more to you via your portal or email. 5. It’s a completely paperless and convenient process. In addition to this, the team are capable of quickly learning any other accounting, client relationship management, and payroll or data processing software – often at no cost to the client. You may have discovered that by owning your own business you spend hours upon hours trying to keep track of the accounting paper trail instead of doing what you enjoy. Wouldn’t you rather use your strengths and skill set to build your business rather than having to worry about accounting issues? • Who do I owe? • Did I make enough money this month? • When was that financial statement due anyway? • Am I meeting my filing deadlines? • How do I accurately process payroll? • What about taxes (sales, property, income)? • Am I keeping up with corporate record compliance? These questions reveal the fact that there is a lot more to keeping a proper set of books than just knowing how to write a check. Outsourcing your company’s bookkeeping to a certified bookkeeper can save you staffing overhead, operating costs, and management time, freeing up essential capital and increasing your capabilities so you can run your business more efficiently. The misconception is that by outsourcing bookkeeping the owner might lose control but with the right system in place the management decisions remain under the control of the Owner. Tax preparation is a key reason to maintain a detailed set of books, but there are other factors at play. A company’s books are used to determine the amount of taxes the company must pay. They are also used in preparing tax returns. Sometimes, a tax agency may decide to investigate the information reported on a tax return or other type of tax-related document. In such cases, business owners are required to present accurate records for the tax agency’s inspection. Why Small Businesses in India Should Outsource Accounting Services? Start-ups and small companies face the dual challenge of growing their business and controlling costs. Once considered to be done by large corporations, outsourcing a non-core function such as accounting and bookkeeping is now being done extensively by many small businesses. Not only is accounting time consuming, it is also more and more of a specialty trade. Professional service providers know the rules and can keep you out of trouble. They are highly efficient because they do this work on every day basis. 1) Improved work efficiencyBookkeeping and accounting are effort taking activities. You not only need to put in long hours but also have to ensure accuracy. Hiring an in-house business accountant involves additional cost of keeping a full-time employee and chances are that he may not be specialized with every aspect of accounting and taxation. Outsourcing gives you an edge. You get benefits of domain expertise and advanced accounting software, assuring productivity and accuracy. 2) A cost-effective solutionAs discussed in the above point, keeping a full-time in-house accountant involves cost of paying him year round. While accounting and bookkeeping is more ‘seasonal’ in nature. Accounting outsourcing companies offer customized solutions and charge fee only for the services availed. Hiring an in-house employee means you will pay out a monthly salary regardless of the amount of work he has completed. With outsourcing, you only pay for the work done. 3) Access to domain expertise and advanced systemsOutsourcing your finance and accounts activities means you have expertise and advanced bookkeeping and accounting systems on your side. On the other hand, if you hire an in-house team, you will have to arrange and pay for training and new software, in addition to monthly salaries. Small businesses are usually not in a position to pay for highly expensive accounting software. Outsource accounting services let you have the benefit of such tools and the expert knowledge of industry professionals. 4) Enhanced business operationsAmong several things to consider, outsource accounting services can help a company get a better handle on its pay-to-procure process. Powerful analytic lead to a better understanding of spending through the entire supply chain, and help control budgets and standardize procedures throughout the company. 5) Facilitates business productivityFor being successful a business must have an eye on tomorrow and readiness to accept and implement change with strategic planning. Engaging outsource accounting services can increase company revenue by cutting down costs and by providing owners with flexibility to devote their time and effort on more important revenue generating functions. With a certified bookkeeper on your side, Gapeseed helps your businesses to become more profitable, more efficient, and more competitive. You’ll get accurate reports reflecting your business activities so you can make decisions that will keep your business moving forward. And all those deadlines – they are met without you giving them a second thought. We also offer consulting services, tailored to meet your needs. We’ll be glad to give you a competitive quote that fits within your budget. With Gapeseed Consulting, you can climb the steps smoothly when Setting Up Business in India!! The current economic scenario of India is growing towards the trend of individuals getting ready to start up their own business enterprises. Opportunities are opening the doors and people are rushing to enter through those doors. Unlike hunting for a job, setting up a business requires a winning idea in the first place. But besides that a lot of groundwork has to come before the actual act of opening up a business. Now, such groundwork includes creating a workable business plan, thorough market research, finalizing funding sources and pinning down the business model. Once you have validated your idea with these steps, it is time to delve into the legalities and paperwork involved in setting up a business in India. And that’s where we enter. We, at Gapeseed provide our clients Business Setup Solution based on a methodology which takes care of approvals, legal compliances, registrations with authorities etc. to provide a ready to operate business setup in shortest time period. In this post, we will not only guide you with the steps of setting up a business in India processes but also with the tips of how smoothly you can walk past it. Although in today’s time setting up a business and investing in India generally do not require any approval. However, in case of some Industries approval is required for setting up business in India. Gapeseed provides services for obtaining approvals from Foreign Boards or Indian Boards (read Reserve Bank of India), as may be required. We also provide services for formulating strategies for mode of business setup i.e. Foreign Branch Setup or Liaison Office setup or Setup of Subsidiary Company as required. For setting up business in India through limited liability company involves registration with Registrar of Companies under the Companies Act. Foundation of company involves several steps including name approval, digital signature of directors, and preparation of Memorandum of Association etc. Our Business Setup Solution takes care of all the required compliances and procedures for incorporation of a company and endeavours to provide our clients ready to operate business setup as smoothly and as quickly as possible. 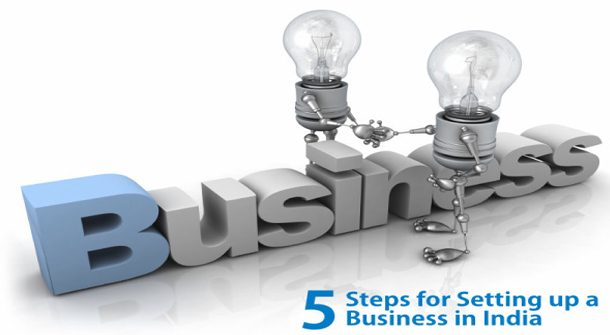 A business to be fully functional requires registration with various authorities. For instance, a trading company needs to get registered with Sales Tax/VAT Authorities, Income Tax Department, Excise Department, Custom Department, Service Tax Department, Registration with Shops and Establishment Act etc. 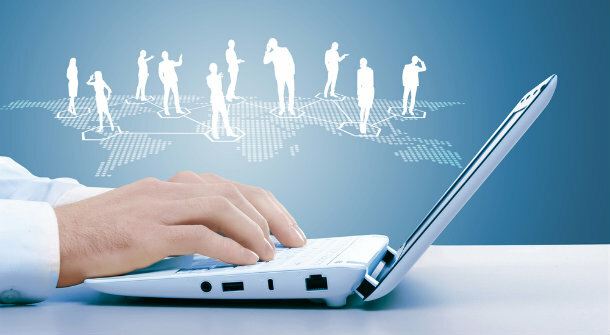 Our Business Setup Solution provides services for registration with various authorities immediately after incorporation. This leads to reducing burden from client’s end with matters related to tax, labour and other relevant authorities. What’s the point in getting things right if people don’t come to know about your company? Gone are the days when people used to spread the word verbally; Now-a-days one has to find the right kind of customer first and then think of many ways to reach out to them. In order to create an identity, create a logo, and then create a company website and social media profiles to mark your presence and through social media windows spread the word about your brand. You can not only promote your business through digital channels but can get hands-on feedback from your customers which will further help you improve. Once you start up, you should think of growing your business with each passing day. In order to make profit, you have to be ahead of what you received out of your business yesterday. And to do so you can think of collaborating with more established brands of your genera. You can even reach out to other companies and request them for your business promotion in exchange of a free service, product etc. You can even partner with other lines of business and build a mutual relationship to promote each other’s brands. Setting up a business can be challenging but if you follow these steps and reach out to us, you can not only set on the path of entrepreneurship smoothly but can make your business more profitable and more successful. Small businesses often face the challenge of growing their business and having to cope with rising costs. It takes a lot of effort to run a small business successfully wherein the time, resource and energy must be optimally used. It is also crucial to ensure proper accounting practices for any particular business, regardless of its industry. Once considered to be done by huge companies, now-a-days accounting is a fundamental necessity for any business, be it small or big. Apart from handling business challenges, financial challenges can become too great to handle without expert help. Reasons could be many – May be the company’s accounting software isn’t providing the type of data required to grow the business, one may be facing trouble while switching from cash to accrual accounting, may be someone wants to better the financial function of the business. Whatever the reasons are, for complete solutions you can certainly rely on Gapeseed’s Accounting Services. What is special with Gapeseed’s Services? Our primary goal is to make accounting hassle free for our small business and start-up clients. Our expertise as accounting professionals has helped hundreds of small business clients to achieve their financial goals and we work hard to help all of our clients succeed. We offer a full range of accounting services and create custom accounting solutions if need be for businesses based on the specific accounting needs. Our solutions help our clients save time and money, so they can utilize those resources on other aspects of your business. And not just bookkeeping, payroll or auditing services, depending on a particular need, we even work towards achieving financial goals for our clients and their business. Pace up productivityAccounting is a task that requires long hours and accuracy on the job. If you opt for hiring a small business accountant in-house, it might add an additional cost burden. Whereas if you hire Gapeseed, we will not only provide expert accounting but we are always willing to put in the extra hours to increase productivity and efficiency of businesses which are small & settling up. Keep your books clean & up to dateMaintaining an accurate book of accounts is important to any small business as it necessary to keep a check on the expenses and cash inflow. And you need expertise in order to maintain an error-free bookkeeping operation. Our accounts clean up services include tallying account items with actual expenses and inflows, classifying items in the correct category and removing any dead transactions. With such a systematic record keeping like ours, you can not only maintain accuracy but lessen your burden during the financial year end and tax seasons. Keep your books in safe handsBookkeeping in small businesses is often seen as chore that must be given good amount of time and importance in order to stay in business. Gapeseed can relieve you of this chore by taking up all the painstaking work of maintaining your bookkeeping operations. Right from maintenance of ledgers to reconciliation of accounts to preparing cash flow statements, we will handle them all. Grow your small business with usMany entrepreneurs who start their own small businesses start out by wearing the accountant’s hat. With simple bookkeeping software coming handy, one might even keep a good track of business’ finance. But when the business starts growing, it no longer appears to be an easy task. It totally makes sense to hand over responsibilities for taxes, accounting, and the rest of the financial functions to specialists. Gapeseed can help your business not only with tax returns but with long term tax planning, business planning, networking, and even personal tax planning. If four reasons aren’t good enough and if you want more, you can visit us to get the details of Gapeseed’s Accounting Services for small businesses or call us on +91-9599444639 | 9599444630. We at Gapeseed are purposed to empower our clients through our services as strategic growth partners. 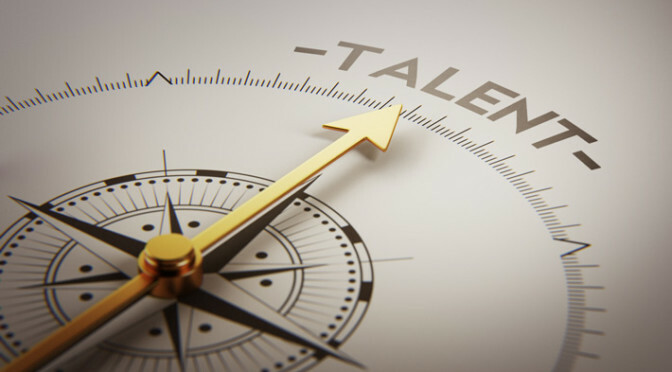 Hiring the right recruitment process outsourcing (RPO) provider is a major organizational decision, one that will have a direct impact on your organization’s talent. If you’re not sure exactly how to hire the right Recruitment Process Outsourcing provider, you’re not alone. The other day we headed to a mall just to grab some quick bite on our way back from a meeting. Our ‘Happy Hour’ moment was soon put to an end after my teammate took the first bite of his burger. Apparently he is allergic to mayonnaise and he specifically asked to do away with it while ordering. When he went to complaint about it, the boy who took his order bluntly replied that they can never make these kinds of mistakes. Anybody would get furious to such comment and my teammate wasn’t any different. After much argument, the manager came forward to apologize for the whole situation and made the boy do the same. Later we learnt that the boy has joined only a couple of weeks back and he has made such mistakes for over a couple of times. Now post this incident, I don’t know whether the boy was fired but the outlet definitely lost two of his customers – me and my team member. There are a lot of factors to consider when choosing an RPO provider. Zeroing down to the right one is a good challenge. In my years of involvement in the RPO industry, we have been able to identify some key considerations companies should take when hiring an RPO. A reputed brand definitely needs the right provider who can assess the skills of the employee, train them accordingly and then make the right placement. If they keep hiring people who don’t fit the requirement, the outcome could be worst for any given brand or organisation. So picking up the right RPO is as important as getting the right people to work for your business. You need to ascertain that the agency is not offering existing packages, they are doing the homework to understand your business and the consumer insights before giving an RPO proposal for your business. Although price is a significant factor in hiring an RPO provider, it definitely shouldn’t be a deterrent. The RPO experience is based on improving any current hiring weaknesses in the company while playing to the company’s strengths. The price is simply what you pay in order for you to ultimately see greater returns when all is said and done. What you should consider is how much more effective and efficient an RPO will make your hiring process. When an RPO provider brings the proper resources and experience to bear on your recruiting process, you should expect overall improvement and a significant return on your investment. The provider can’t just work alone. The relation between your company and the provider must be like partners. Though you may not get an opportunity to get actively involved in the recruitment but you must follow up regularly. The system of the provider should be flexible enough so that it lets you sit with their team to discuss the situation, work out a schedule and do regular reporting and reviews. You can’t leave outsourcing firms hanging; you must make sure you are there with them like partners. Since you will be sharing confidential business information with the provider, checking on security is something that you must foremost find out. Ask for a detailed description of how they have protected their facility from outside intrusion; ask if they have a recovery plan in case of a security breach. Find out about the firewall and other security measures taken by the provider. Also ensure if the provider’s data center is staffed with qualified, experienced and committed resources. You need to asses if the RPO provider is simply trying to sell you their services by over promising or if they are genuinely committed to tailoring their services to meet your unique needs. The best way to evaluate a prospective service provider is to examine their service track record from multiple perspectives. You can get in touch with the provider’s existing customers if their needs were accommodated. Before bringing them on board, check if they demonstrate a willingness to clarify your needs and map those onto their service offerings. You can always request the service provider to provide you with their customer list either former or existing. After receiving the contacts, you can speak to those customers who have a similar industry profile/business needs as yours. Request them for detailed and honest feedback about the provider’s strengths and weaknesses. Find out how satisfied they were with the provider’s service levels and systems management expertise. If everything falls in place as you expected, you can take you decision easily. In order to find out how reliable a provider is, get information about their infrastructure, technology partners, internet providers, data centre etc. Even making an on–site visit can give you confidence in the provider’s management expertise and physical infrastructure. You can also ask details about the provider’s quality assurance methodologies, procedures and processes in order to find how scale able they are. Hope this post will help you find the right RPO provider for your firm. The other way to find the right one is to get in touch with us. We at Gapeseed, not only fit well into the above mentioned considerations but we keep working on our skills to keep pace with the growing demand. So talk and walk with us before hiring us and we are sure you wouldn’t have to look anywhere else. Recruitment Process Outsourcing Services by Gapeseed proved instrumental for one of our Engineering Services. Not just for the management level but for levels from management to admin, we just matched the right company with appropriate employees.HR services and staffing firms in India are expanding their teams and operations to cater to the rapidly growing demand for recruitment process outsourcing (RPO) as organisations are increasingly farming out all or part of the hiring functions to focus just on their core businesses. In India, software, technology and IT sectors are the major torchbearers for RPO growth. However with the online trend setting in, mid-sized to large online retailers in shopping, manufacturing, food marketing industry etc. are also driving demand. The ready examples of flourishing brands are Local Banya, Grofers, Big Basket, Craftsvilla, Flipkart, Amazon etc which have brought in change and are examples on ‘how resourceful the people strength could be in defining & setting up the customer satisfaction levels. And as hiring demand increases, the war for the right talent intensifies. So, more and more companies are expected to outsource their recruitment process work in the near future. 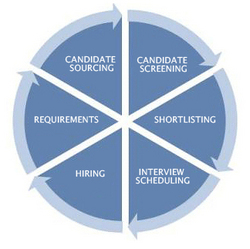 What is the exact role of Recruitment Process Outsourcing Service Provider? RPO is a form of business process outsourcing where an employer transfers all or part of its recruitment processes to an external provider. The provider can manage the entire recruiting/hiring process essentially serving as an extension of the company’s human resources department. The providers even offer specific services that are designed to improve what the employer is already doing for recruiting or for training and other purposes. Some of the services include candidate research, compliance tracking, hiring manager training etc. 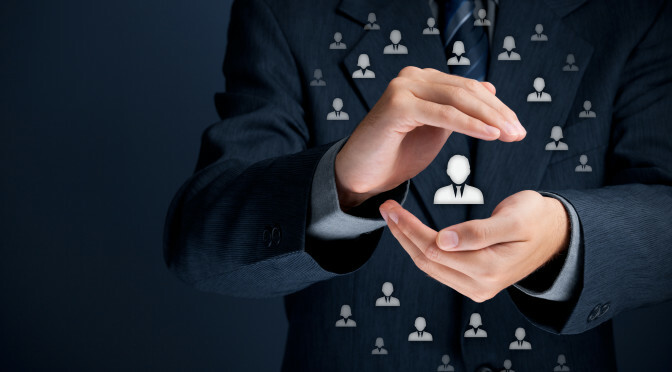 RPO providers assume ownership of the design and management of the recruitment process and the responsibility of results. So, a provider will do lots more just to improve upon recruiting processes and recruiting results of the employer. This in turn makes it easier for employers to hold providers accountable and to hire the right talent for the company, instead of simply keeping positions filled. How does Gapeseed’s RPO service deliver business value? We are the expert staffers: Different companies demand different skilled employees. So, our RPO process starts with our clients’ goals. 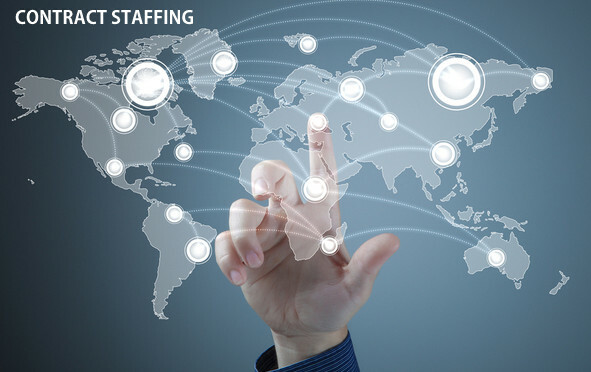 Our expert in staffing solutions dig deep to understand your organization and the job skills necessary for its success. We use proven sourcing strategies to identify where the talent is and how best to attract them. Our experience and expertise accelerates the acquisition of the right talent for you. We even customize our solutions and apply an approach that is appropriate for your needs rather than go with a one-size-fits-all approach. Whether it’s an end-to-end program, recruiter-on-demand offering, or selective RPO, we have the perfect solution for your temporary/permanent hiring challenges. This lets you increase or decrease recruitment operations quickly and effectively to fit your changing business needs. At Gapeseed, we have clientele with international offices and our consultants are aware of all the region based talent requirements, the hiring procedures involved and also the documentation & travel requisites. Our experience and stringent recruitment process ensures we find only the best-in-class resources to support your goals. We have a deep understanding of each local market in which we serve and leverage our global network to meet your workforce needs anywhere around the world. Based on Gapeseed’s extensive thought leadership and unique perspective on the world of work, we bring cutting-edge insight and innovation to the way we operate, keeping our clients ahead of the competitive curve. The approach also provides visibility and control over resources and cost, in the shortest time possible.